The economy in Deposit has relied on natural resources since its founding more than 200 years ago. 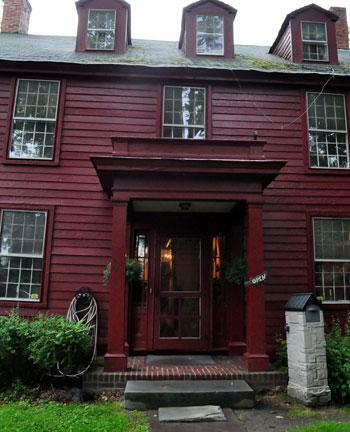 Town historian Richard Axtell also runs an antiques shop in this former tavern in Deposit. 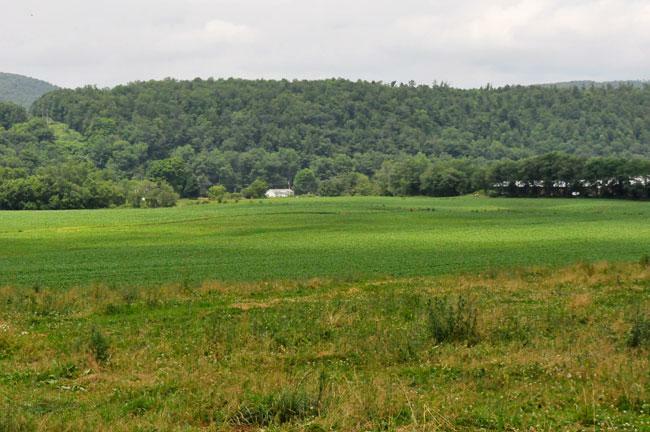 Strong support for the industry can be found among local landowners who signed the largest drilling lease New York had seen in 2008. 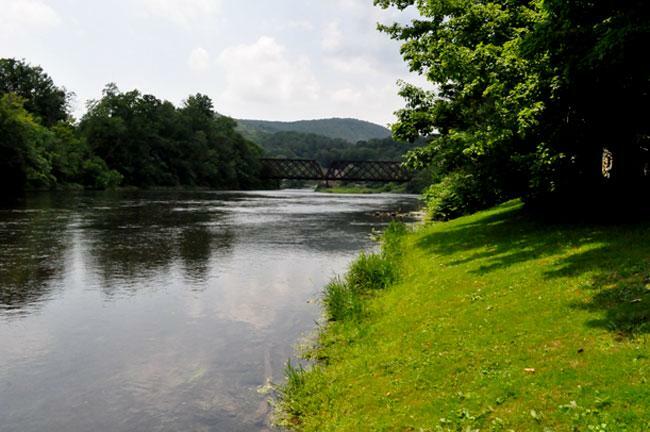 Drilling opponents in Deposit point to assets like the Delaware River, which runs through the center of town, and the area's many trout streams as reasons to keep drilling out. Walton is one of the towns in the city's watershed. The commercial district is mostly shuttered shops with very little activity on a summer weekday. 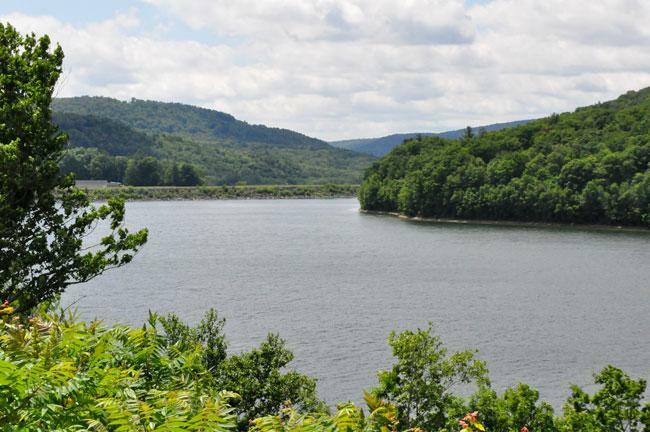 A few miles outside of Deposit is one of New York City's reservoirs. 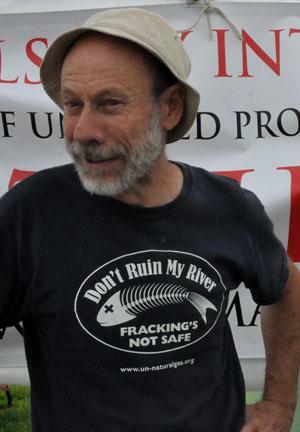 The city's upstate watersheds are protected from drilling. Drilling advocates in Deposit point to the shuttered businesses in Walton as proof that regulations can choke a region's economy. Fracking opponents like Mike Bernhard point out that reliance on natural resources only perpetuates poverty. 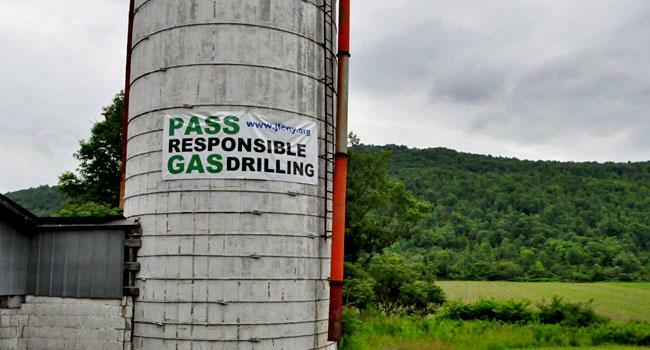 All signs point to fracking coming to New York eventually, and when it comes, it'll start in the Southern Tier. That's what we've gotten from Albany so far. The big open question is when. Gov. Andrew Cuomo sort of announced, through anonymous administration officials to the New York Times in June, that once the environmental review process is completed, fracking would start in five counties in the Southern Tier. Then it gets a bit murkier. Initially, the Department of Environmental Conservation's environmental review, which is expected to give the regulatory stamp-of-approval after four years of study, was thought to be scheduled for a pre-Labor Day release. Now, maybe it's "before the end of the summer." According to the Farmer's Almanac, summer ends on September 21 this year. Though it's unclear if that's the calendar the DEC is using. After four years, there are some well-established camps on both sides that prowl the halls of Albany and make the rounds of the political programs. One side focuses on the economic benefits. The other has a laundry list of concerns. But this story isn't going to get into those particular weeds. Instead we're going to take a look at what all these delays and bickering and political pressure mean for people in the Southern Tier, whose lives would be most directly affected by fracking in New York. We're going to do it by focusing on Deposit, or more accurately the Deposit area. The Village of Deposit is split between the Town of Sanford and the Town of Deposit. 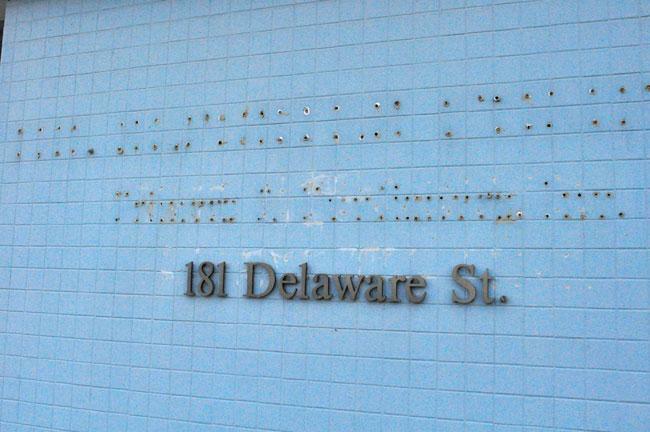 For shorthand purposes, we're just calling the whole area Deposit. 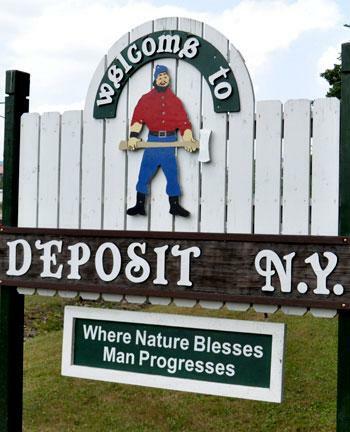 The welcome sign on the way into Deposit is a picture of a smiling logger. Below the logger is the phrase: Where nature blesses, man progresses. And through its history, that’s been a good slogan for this town. "Right now, I guess it’s still the same community it was 200 years ago," says Richard Axtell, the president of the Deposit Historical Society. "And really the same industries are here as were then – timber and stone – but the thing that has changed the most is the agricultural industry," says Axtell. There used to be 86 dairy farms here. Now, there’s no more than 6, according to Axtell. And when New York City created a reservoir to the north of Deposit in the early '60’s, the expansion of the logging industry was curtailed. 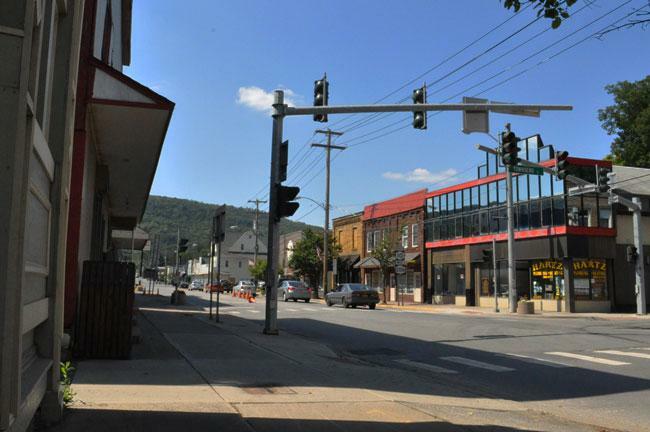 Like so many towns in the Southern Tier, Deposit is searching for a new economic base. In towns like Deposit or Elmira or Vestal or Horseheads, the fracking debate is about what sort of places they will become. For decades, there’s been a hole in the Southern Tier left by legacy industries like IBM or the dairy business. Many in the Southern Tier see the natural gas industry as the best replacement out there. To some of their neighbors, that would mean the end of what they love about their homes. “Everyone is going to win," says Deposit resident Larry Schaeffer. "The only way we wouldn’t win is if this is a horrible, big mistake and we’ve been tricked and they’re going to ruin our water and they’re going to ruin our land," says Schaeffer. On a sunny day in July, Schaeffer sits in the middle of his sawmill, one corner of a family empire that includes a logging business and quarries. If the natural gas industry comes here, he stands to make a lot of money. And it would fit in well with what he already does. "The noise is here, we’re here, we’ve been here," says Schaeffer. And the debate here isn't just an academic argument. Melissa Bishop is a transplant from Long Island, a retiree who’s not shy about her opinions. She’s the kind of lady who spends her afternoon at the courthouse to see what’s going on and clears her mind with letters to the town board or local paper. With a little effort, Bishop believes that Deposit’s blue-ribbon trout streams and cool air could be made into valuable attractions. “My feeling is and I feel this very strongly, if the drilling comes, all the ancillary activity, never mind just the drilling, trucks, the noise, the sheer destructive nature of these gas wells would really destroy a lot of everything that I love about this area," says Bishop. Her reasons for opposing fracking are the same that you hear from a lot of opponents. She is worried about its effect on water sources. Methane and other contaminants have been found in drinking water near drilling sites in Pennsylvania. The disposal of the salty, contaminated water that comes back up after a well is drilled can easily ruin a water source. And Bishop doesn’t trust gas companies to take responsibility for any accidents that happen. “It’s criminal, immoral, whatever word you want to use. I think they have shown in Pennsylvania they cannot be trusted, ever, in my opinion, ever, to tell the truth or do the right thing,” says Bishop. In 2008, a group of local landowners signed the largest lease yet seen in New York. At the time, the industry hadn't brought fracking across the border from Pennsylvania. After that lease, it looked like Deposit would be first. Deposit sits on a sweet spot on the Marcellus Shale, a gas-rich rock formation that sits thousands of feet under Pennsylvania, New York, West Virginia and Ohio. Last year, the US Geological Service estimated that the Marcellus holds 84 trillion cubic feet of recoverable natural gas. The area’s history and its proximity to the Millenium Pipeline - which could take gas from here to New York City – mean it’s a place where everything lines up just right. Back in 2008, Dewey Decker organized a group of landowners called the Deposit Coalition. Decker is a retired dairy farmer who says the long, slow decline of the dairy business very nearly forced him to sell off his land. “When you go back, you’ll go back 17, you look up on the bank there, there’ll be a sign that’s up on there, 1100 acres for sale," says Decker, who's also Sanford's supervisor. "If we didn’t get a gas lease, I wouldn’t have a farm now," says Decker. The coalition pooled 50,000 acres in and around Deposit that gas companies, including the country's largest, XTO and Chesapeake, fought over. “We got the gas lease with XTO, we were very fortunate to do that. It was a blessing to us personally. It was a blessing to an awful lot of them,” says Decker. Decker didn’t have to sell his land. His coalition signed the lease in May 2008 – 50,000 acres, $2,411 an acre. That’s $120,000,000 in upfront money for about 400 landowners. At the time, fracking was in full swing just over the border in Pennsylvania. In June of 2008, the price for a thousand cubic feet of natural gas was over ten dollars - five times what it is today. It was easily worth it for drillers to invest the millions of dollars that it takes to drill new wells. According to Decker, shortly after signing the lease, XTO didn't waste any time. They were going to start by fracking on Decker's property. Drilling in Deposit seemed imminent. Of course, this was before hydraulic fracturing started to get a lot of bad press - before methane migration caused a water well to explode in Dimock, Pennsylvania. Before a deluge of lawsuits against frackers in Dimock and elsewhere cast doubt on the method’s safety. And before the 2010 release of the anti-fracking documentary Gasland. In the years since the Deposit lease, a formidable opposition to fracking has spread across the state. *Broadcasters interested in replaying the documentary; please contact the Innovation Trail editor. Hydraulic fracturing, or fracking, has unlocked vast reserves of natural gas once thought unreachable. This natural gas is touted as a cleaner fuel that can reduce carbon emissions. But new research is bringing that into question. 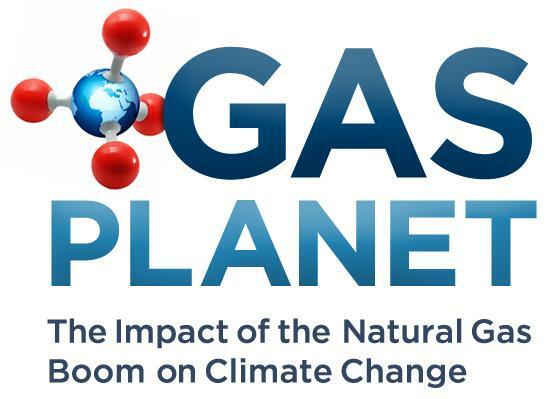 Gas Planet, a special hour of radio, explores whether unconventional natural gas drilling can help or hinder efforts to solve climate change. *But you were afraid to ask? When the Innovation Trail reporting project launched in 2010, we made it a priority to cover the hydrofracking debate in New York.